Sometimes disputes arise over the provisions of a Will. Resolving these disputes can be very complex. It is very important for a person who believes there is an issue with a Will to retain appropriate legal guidance to ensure that their rights are protected. Cases contesting a Will tend to be heavily fact dependent and require detailed knowledge of the applicable law and litigation strategy. Knowing the right questions to ask of the right witness can be very important. We have seen cases that were thought to be weak completely turned around by a single deposition of a key witness. If you believe the Will of your loved one does not reflect his/her true intentions for any of the above reasons, you may be able to file a contest in Probate Court. During the Will probate process, there are certain steps that can be taken to protect your rights. The process can be daunting as it requires the initiation of litigation, and this must be done according to certain protocols and time limitations. First, you must have standing to contest the Will. Standing exists if you are an heir to the estate (meaning you would inherit the estate if the Will did not exist). You could also have standing if an earlier Will had named you you a beneficiary. As an estate heir, you are entitled to receive notice that a Will has been accepted for probate in South Carolina. Once the Personal Representative has been appointed, you have only a short period of time to come forward to try to contest the Will. You must file your objection to the Will via a summons and complaint submitted to the county probate court that has opened the estate. This is a complex written document that should be written by an attorney. The Summons and Complaint explains why you contest the Will and puts family members and other interested parties on notice as to why you think the Will shouldn’t be accepted for probate as is. After a potentially lengthy discovery process and possible pre-trial motions, a final hearing on the validity of the Will will be scheduled, so that each party can present evidence and have their arguments heard by the Court. Notice of the time and place of the hearing will be sent to every interested person listed in the Will, who will have the right to attend the hearing. The primary purpose of a hearing is to provide equal opportunity for family members and other interested parties to ask questions and/or state objections regarding the probate of the Will. All evidence must be submitted in compliance with the rules of evidence and the case must be handled pursuant to the rules of civil procedure. These are very complex rules which should only be taken on with the assistance of counsel. 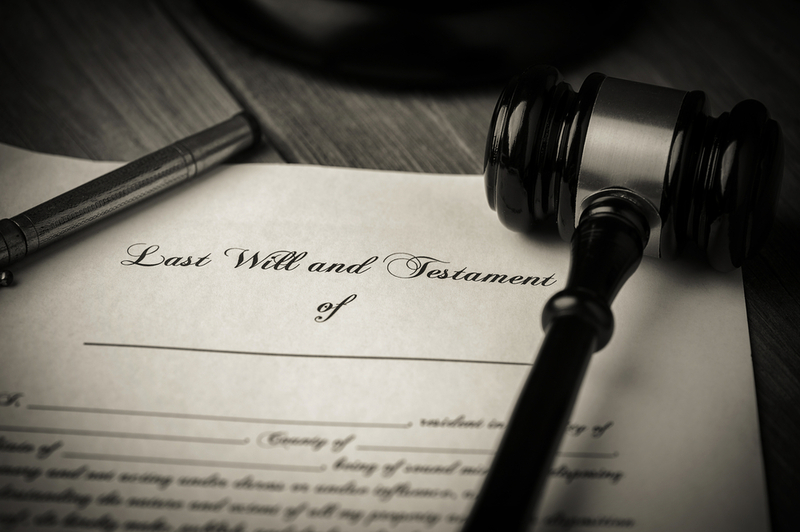 If you wish to contest the validity of a Will, your case will benefit greatly from professional representation. At The Miller Law Firm, PA, we are dedicated to protecting your rights and will work with you and your family in any and all types of Will contests involving personal property, bank accounts, and real estate. Most often, the wishes stated in a Last Will are the true intentions of the person making the Will. But this is not always the case. What is written in a Last Will is not always the last word. Competent legal counsel can help you determine whether there are any grounds to challenge a Last Will. Contact us for help in ensuring that the decedent’s true intentions are carried out fairly and justly.